Vienna is one of the beautiful and architecturally rich cities that I have been to. There is royalty and mesmerizing art in every little corner of the city. 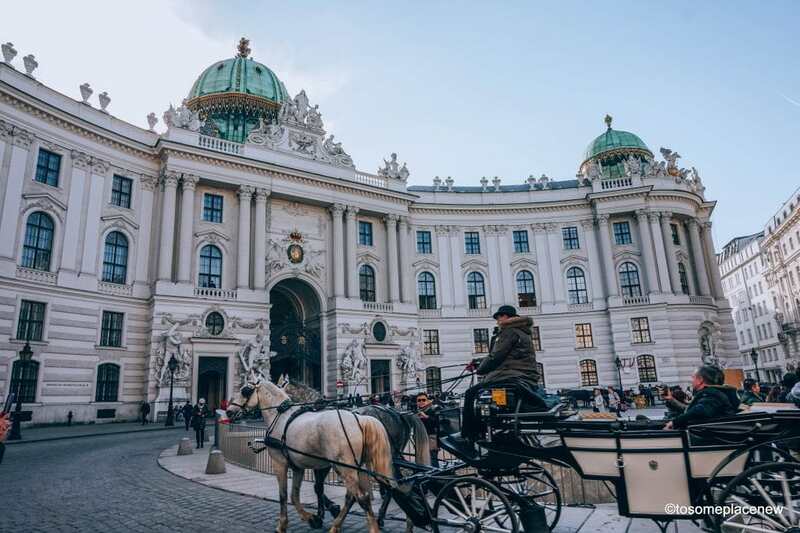 A clean city, Vienna also has great cafes, unbelievably well-dressed people and you can hop on a horse drawn carriage to explore the city – an experience that will take to its rich past. I enjoyed my stay in Vienna and have highlighted 10 spots that are worth-seeing. Most of these spots are free to visit from outside, unless if you wish to explore the inside of the palaces/complexes with a guided tour. Some of the monuments and complexes are living quarters and are currently in use by high dignitaries and/or set up as museums. These 10 sight-seeing spots of Vienna are very close to each other and well-connected. You can either take a local transit or cab to reach one spot and can walk down to explore the other areas. Schonbrunn Palace is the most popular tourist spot in Vienna. It is also an UNESCO World Heritage Site and it rightly so because of its rich cultural history and association with the Hapsburg royalty. Built in early 18th century, this gorgeous yellow colored palace reflects the changing styles and interests of the Hapsburg dynasty. 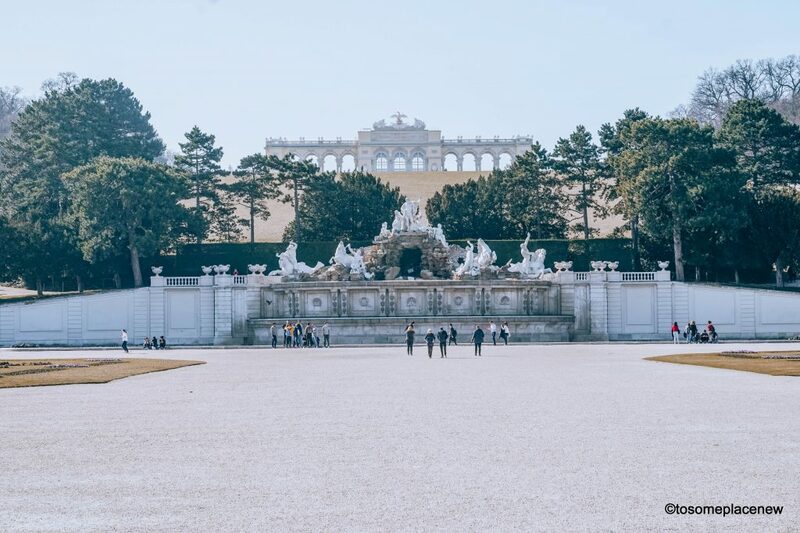 The Schonbrunn Palace in its present form was built and re-designed during the reign of empress Maria Theresa who received the estate as a wedding gift. Maria Theresa was an able leader and during her reign she popularized the yellow color as a color of royalty. But the reality was that the color yellow was economical and easily available. You can easily spend 3-5 hours at the Schonbrunn Palace complex. There is a guided tour available to explore the interior of the beautiful palace. Keep in mind, they have 1441 rooms! The sculpted garden is beautiful and is adorned by 32 sculptures of deities. There are picturesque Roman ruins as well located in the palace complex. One of my favorite sights is the Neptune Fountain, with Gloriette in the background. The Gloriette was erected to glorify the Hapsburg rule. It definitely adds a romantic feel to the entire place and you can get amazing views of the city of Vienna from the Gloriette. Schonbrunn Palace is open daily, including public holidays. There are cafes, restaurants and museums in the palace complex. This site is completely accessible to all tourists. Wiener Staatsoper or the Vienna State Opera is an Austrian Opera house. This opera house is one of the busiest in the world with over 350 performances conducted in the 2017/18 season. It was opened for the first time in 1869 with a performance of Mozart’s “Don Giovanni”. So when you step foot into the opera house or book tickets for the opera, you are enjoying a slice of rich Austrian history. The Vienna State Opera is particularly unique as it caters to children’s performances. The opera house used to showcase children’s productions, in the bygone era, which were performed in a tent on the roof of the Staatsoper. Presently the opera house has an opera school for boys and girls. The children are introduced to music theater and the prospect of becoming opera singers. The company recruits singers for children’s roles in its productions from this opera school. Twice every season there is a special matinee performance of the opera school. Don’t miss it! The Hofburg palace is the imperial seat of the Hapsburg Dynasty in Austria. Every inch of this palace drips in luxury and royalty. The outside of the palace is as beautiful as the inside. There is a lot of history that has happened in this palace and had served as prime residence for Empress Maria Theresa, Emperor Franz II and, for a while, even the German Emperor. The complex is spread over 59 acres and comprises of 18 groups of buildings, close to 20 courtyards and around 2600 rooms. 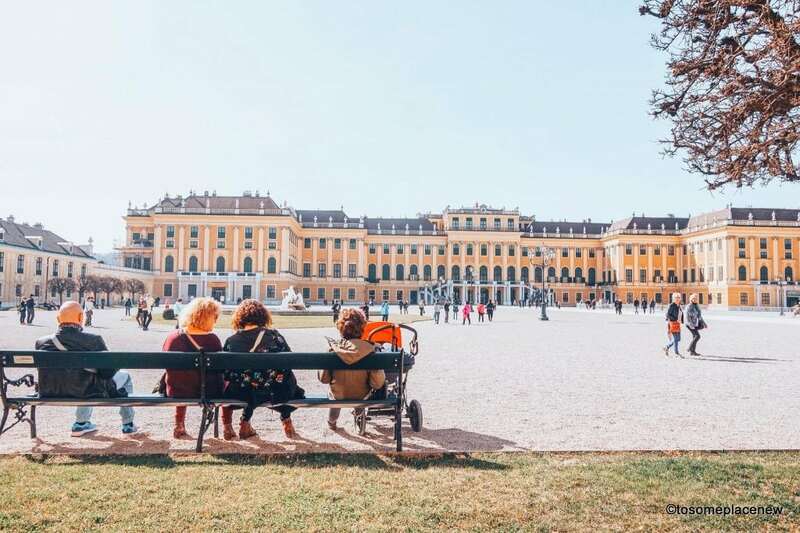 The entire complex showcases the legacy of rich and different architectural history – nearly every Austrian ruler since 1275 had either ordered additions or alterations. There are guided tours available to tour the palace complex. Visitors are given three choices when visiting this spectacular site – the Imperial Apartments, the Sisi Museum, and Silver Collection – each of which can be toured individually or as part of an extended visit. There are other attractions included as well along with the the Hofburg, which included the Imperial Chapel (Burgkapelle), the Natural History Museum (Naturhistorisches Museum), the Austrian National Library, and the Spanish Riding School. There is a Sisi Museum at the palace as well and its worth a visit. Sisi or Elisabeth was the Empress of Austria. She has gone down in history as an empress of eternal youthfulness and beauty. For more than three decades she was regarded as the most beautiful queen in Europe. A fun fact about Sisi is that she believed in natural beauty and never used any cosmetics or fragrances. She relied on natural remedies. Her beautiful brunette hair was beautiful and very long. She would spend about 2 hours a day to fix and take care of her hair. There are exhibitions conducted at the Imperial palace that highlights the lives of the Hapburgs including Sisi. The Hofburg palace is iconic to the city of Vienna. The Hofburg is an architectural marvel that showcases many different architectural styles, from Gothic to Renaissance, Baroque to Rococo and a little bit of Classicism. Heldenplatz is a public space located in front of the Hofburg Palace. This square was set up as a Heroes Square. There is a statue of Archduke Charles of Austria, which was meant to glorify the Habsburg dynasty. There are other statues too, including the one of Prince Eugene of Savoy. Many important actions and events took place in the Heroes Square. Adolf Hitler’s ceremonial announcement of the Austrian Anschluss to Nazi Germany occurred here. The present-day Heldenplatz on the former outer plaza of the Hofburg was built under the reign of Emperor Francis Joseph. Currently, the President of Austria resides in one of the Hofburg complex wings. In our visit, there was a police recognition ceremony that was under way and the complex had quite a few police vehicles in it. Maria-Theresien-Platz is a large public square in Vienna built in the honor of Hapsburg Empress – Maria Theresa. There is a huge statue of the Empress, which is flanked by two museums on each side. These buildings are identical – one is the Naturhistorisches Museum (Natural History Museum) and the other was the Kunsthistorisches Museum (Art History Museum). The buildings are near identical, except for the statuary on their façades. The Maria Theresa Monument is a probably most important monument with construction that lasted a 13 year period. The statue is about 19 metre high and is surrounded by 4 horseman statues. It can be seen from across the road as you proceed to the complex. There are beautiful gardens in and around the monument, making it a perfect place for a stroll or a picnic. Maria Theresa Platz is classifed as an UNESCO World Cultural Heritage site. The legacy of Maria Theresa is phenomenol – her stories of grit and tact are discussed even today. She reformed the school system and took care of the state affairs in a able capacity and also took care of her 16 children. Talk about home and work life balance for a woman. Amazingly done, I say! A unique form of art and architecture, the Hundertwasserhaus is an apartment building located in Vienna. This is unique as it was built after the idea and concept of Austrian artist Friedensreich Hundertwasser. The outer landscape is multi-colored, hap-hazard and uneven, making it an interesting piece of art. This expressionist landmark is located in the Landstraße district on the corner of Kegelgasse and Lowengasse in Vienna. Don’t miss this popular Vienna tourist attraction. 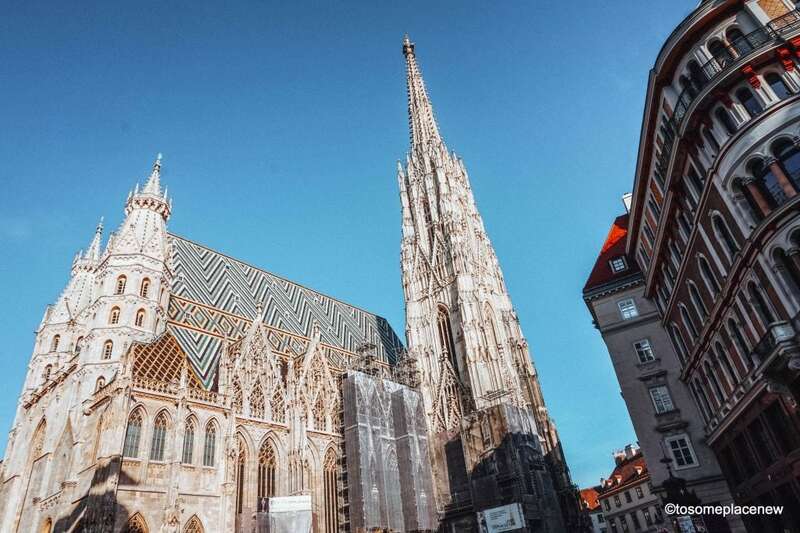 One of Vienna’s most iconic landmarks is the St Stephen’s Cathedral. The Cathedral is located at Stephenplatz, 1010 Vienna, providing visitors with stunning architecture of the Hapsburg and other Austrian rulers. The cathedral has stood the test of time. It has watched over the city for more than 300 years. The Giant Gate, dates back to the 13th century and is one of the oldest parts of the cathedral. The cathedral is decorated with Baroque altarpieces in the name of St. Stephen, the first martyr of Christendom. There is an underground burial place which contains the mausoleum of the bishops, the tombs of Duke Rudolph the Founder and other members of the Habsburg family. It is also the home to some of the treasured art pieces like the red-marble sepulcher. Austria’s largest bell, known as the Boomer Bell is also located at the cathedral in its north tower. The South Tower’s observation deck is the highest point in the city of Vienna. You can enjoy some of the finest views in all of Vienna from here. A climb of 343 steps of the tight spiral staircase leads up to the watchman’s lookout 246 feet above street level. The entire cathedral complex area is also called the Stephansplatz (named after the St Stephen’s Cathedral or Stephensdom). Aren’t these multi-colored roof-tiles the prettiest? They shine under the sunlight! We accidentally passed by this beautiful baroque church in Vienna. Its called the Peterskirche or St Peter’s Church. This important church has a long history and dates back to the Middle Ages. The church looks stunning with its beautiful green colored dome. What was most interesting was the intricate details in the church’s interior. You will see an attractive high altar, several side altars with beautiful religious works of art. There are remarkable frescos inside as well. Or take a horse drawn carriage to this church and click from amazing shots! The Graben Vienna is an upscale and trendy shopping street in the heart of the inner city. What is unique about this street is that the area is lined with a plague column. The origin of this street dates back to the old Romans. Due to its close proximity to St Stephen’s Cathedral and the Hofburg palace, this street has served as a shopping district since the ancient times. There are 5 divisions/shopping areas with the Graben. And they include Stephansplatz, Kohlmarkt, Naglergasse, Tuchlauben and Petersplatz. The plague column dates back to the 17th century and is made of marble. You can see unique structures as you walk along the market area. Make sure you visit their Swarovski store – their window displays are gorgeous and all sparkly! There is an H&M store located in a splendid room of a former court. Talk about royalty! Oh and people in Vienna, so well dressed and handsome. I do recommend visiting this area, during the day and in the evening. Day-time is great for shopping, people-watching or even to admire the beautiful buildings, sculptures and to read about the city’s past. Visit this place in the evening to enjoy some leisure time at a side cafe or an open restaurant, with live music. The city shines under the moon (and neon) lights. Very beautiful. Vienna is a city of music lovers. This apartment building located in Praterstraße 54, 1020 Vienna, used to be residential unit of Johann Strauss son. This is where he wrote his most famous composition (the Blue Danube Waltz), which is also the unofficial Austrian national anthem. This building houses original furniture and instruments, including objects that were used in the daily life of the great musician, as well as paintings, photographs and documents about his life and work. There is a museum as well – the Museum of the Johann Strauss Dynasty, which is the first museum in the world to present the family history and creative works of the entire Strauss family. The music of the “Strausses” has never lost its sheen. Their waltz and operetta melodies still resound in concert houses in Austria and worldwide. The museum is located on Müllnergasse 3, 1090 Vienna. Such a great post! Thanks for putting this together, very useful! I am in love with Palaces! Cant believe you saw all this. I really need to make a trip to Europe. I have only been to Sweden believe it or not! I was so excited, Austria was my 3rd European country that I traveled to! All the palaces are so beautiful! Vienna is so beautiful! I was there for a few days in 2015, and I’m hoping to go back next year. Do you think I could fit all these amazing spots into one day? You can definitely cover quite a few of these areas. Go for the Hofburg Palace in the morning, then head to the Maria-Theresa-Platz, Heldenplatz. And then in the late afternoon/evening head to St Stephen’s Basilica and the Graben. I’ve been to Vienna a couple of months ago and loved it! I did exactly the same things:) Such a fancy and beautiful city! Also pricey. But the St Charles church was my favorite one. Sooo stunning! That’s true, the city is stunning, but accommodation in certain areas could be pricey. We were able to see quite a few places by keeping our shopping and food bills a little low! Vienna looks like such a great city! I’ve never been but it’s high up on my list when I next get the chance. I love all the architecture but the colours in the Hundertwasserhaus really made me gape! Thanks for sharing. I missed Hundertwasserhaus when I was in Vienna. I had to take tram nr. and I was just too tired to do that too. Have you seen the Lipizaners, at the Spanish Riding School? It is a great tradition in Vienna. However, they are very strict and don’t let you take photos of them. I did see the horses from the Riding School, but didn’t cover the Lipizaners. Did you see it, must be wonderful? Wow these sites are incredible! The architecture is stunning. I was so close to going to Vienna when I was in Central Europe and opted to spend more time in Germany. Regret it a little now! The HofBurg Palace is absolutly stunning! Would for sure love to take a tour to see the insides and am definitely getting the Vienna City Card too if and when I visit. Also, Hundertwasserhaus looks so Instagrammable! You’re so right in that the architecture is just eye-opening! The entire area around the Hofburg Palace is so stunning – whether its night or day. I highly recommend visiting this area and taking a guided trip inside the palace. A horse-carriage ride would be an amazing too! I say, go for it! Vienna is one of my bucket-list places to go to, mostly for its connection with music and Mozart. Thanks for showing me that there’s so much more to it. Some of these neighbourhoods are just lovely. Absolutely Vienna has such a lovely ambiance where ever you go. Their neighborhood squares and cafes are so stunning too!